What happens when you cross a seminal classic like a Rolex with the latest smartwatch technology? Well, probably something like the above. 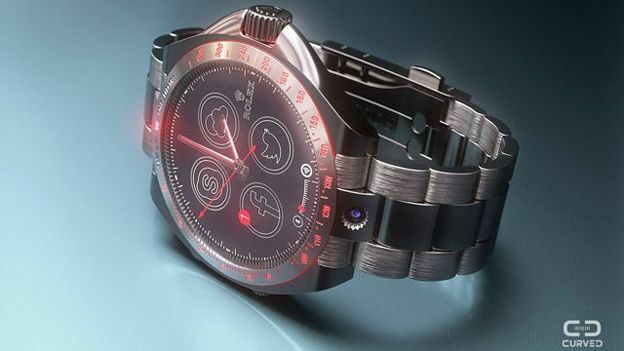 It's Curved Labs' concept Rolex smartwatch which, as much as we would like, won't ever see the light of day. Curved say they took Rolex's iconic chronograph look and designed a user interface that would look more at home on a timepiece as traditional as a Rolex. The company doesn't go into details about what kind of tech they'd like inside the timepiece, but we're fans of the glow in the dark hands and the camera hidden in the strap. There's a hybrid analogue/digital approach here that, so far, we've only really seen on Motorola's Moto 360 smartwatch. Even so, we foresee actual physical clockwork rather hampering notifications or other apps that have been designed to run on a digital screen. Still, at least it looks cool. Let us know what your thoughts are below and over on the official T3 Facebook page.